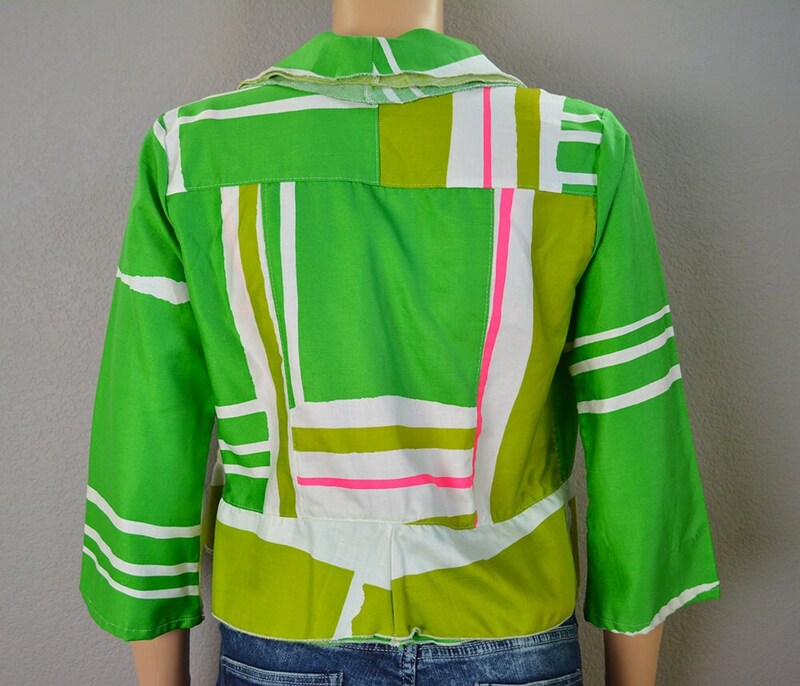 Vividly beautiful 60s cropped jacket for sale. 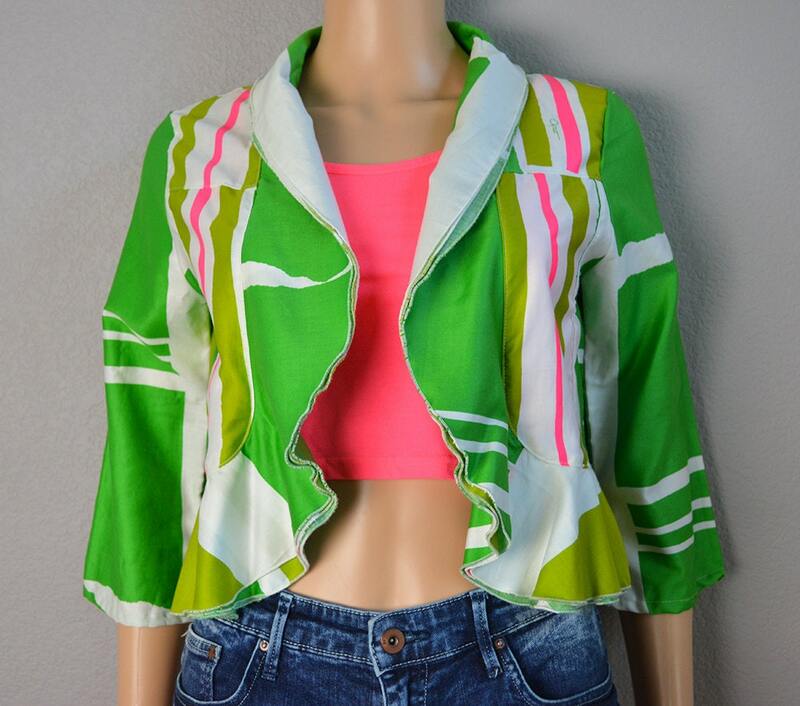 This is the cutest little short jacket with shades of kelly green, lime green, white, and hot pink. This jacket has three quarter length sleeves. It snaps closed in the front. The collar and lapel is ruffled. This jacket is in good vintage condition however there are several spots on the jacket where there are thread pull marks when you look at it closer. 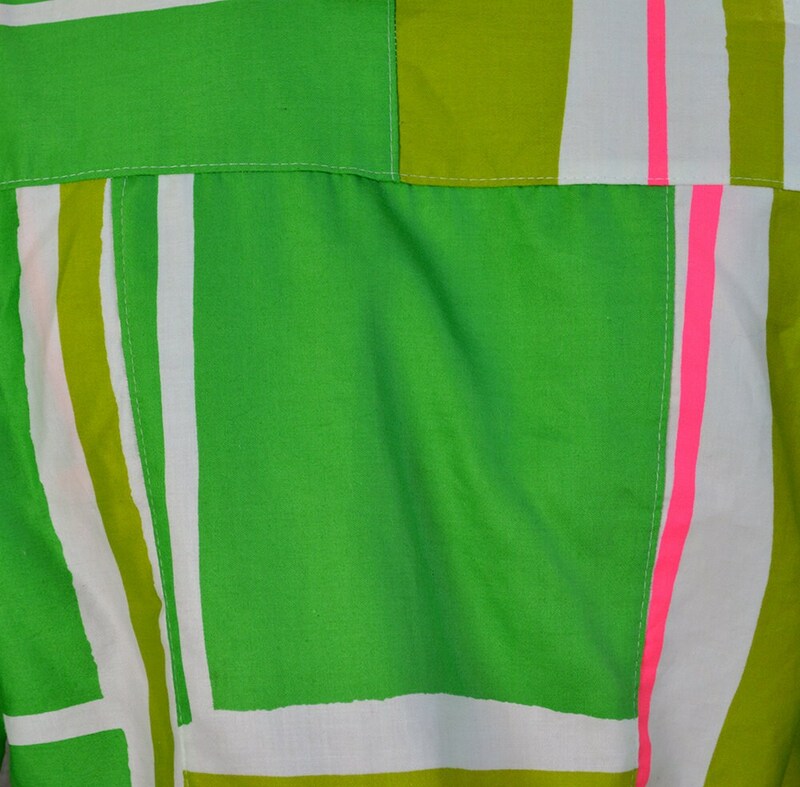 Even with the thread pull marks it is still so cute and we loved it so much we had to post it. It still is totally wearable and has a lot of life left. We did mark down the price accordingly though. It is a small jacket that would be best on somebody with a smaller chest. Size: No size listed, but I would say it is an extra small. Please refer to the measurements to ensure fit.